Anchovies are preyed upon by almost every predatory fish in their environments. Anchovies have teeth, described as “small and sharp,” in both the upper and lower jaws. Their diet consists of plankton and small fry of other fish. 94 percent of Americans eat pizza regularly. In Latin languages, such as Italian, the equivalent word for “anchovy” is used to describe a particularly thin person who is all skin and bones. 1908 William Keith Brooks died. An influential zoologist, he was a champion for the conservation of the Chesapeake Bay oyster. 1926 Jack Ryan was born. Before helping to develop the Barbie Doll for Mattell, Ryan worked for the Pentagon designing missiles! 1947 Buck Dharma of the music group ‘Blue Oyster Cult’ was born. 1956 Ice cubes, anyone? The largest iceberg was reported, in the South Pacific, 208 miles long by 60 miles wide. 1974 After more than 125 years, salmon returned to the River Thames in England. 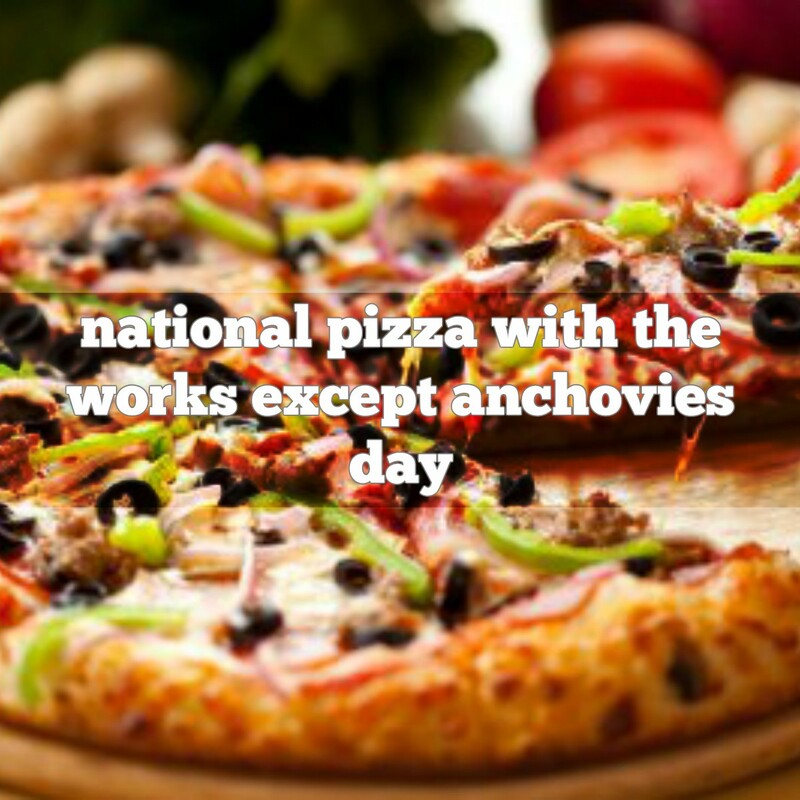 November 12th is National Pizza with the Works Except Anchovies Day! 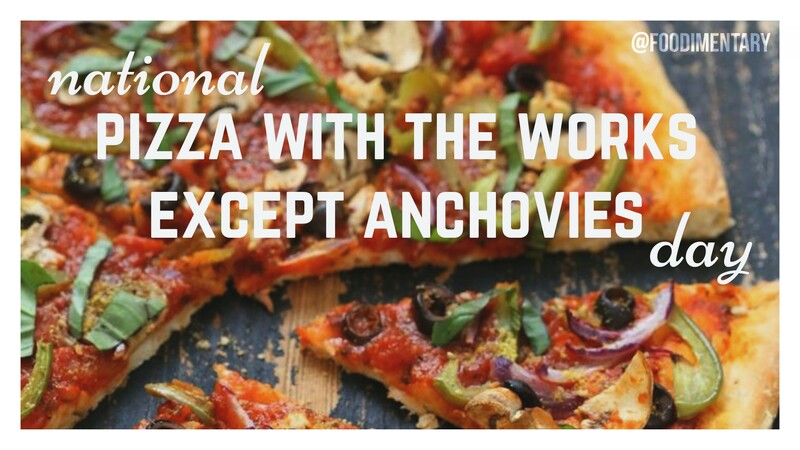 Anchovies belong to the family Engraulidae, and are found in temperate oceans worldwide, with large concentrations in the Mediterranean Sea. They are preyed upon by almost every predatory fish in their environments, and also by humans. As well as being an ingredient in almost every dish in the “Apicius” ancient Roman cookbook, garum was used as a remedy for dog bites, ulcers, and dysentery! The city of Pompeii was famous for its garum. Domoic acid is produced by tiny diatoms called Pseudo-nitzschia and is a neurotoxin. It bio-accumulates in the food chain and if consumed, can cause permanent memory loss, brain damage, or even death! Many people consider Phu Quoc fish sauce to be the best in the world. Three tons of black anchovies and one ton of salt are fermented in hand made vats for at least a year before the first tasting takes place. The Knorr company has a licence to produce genuine Phu Quoc sauce, and markets 2,500 tons a year. Anchovies do indeed have teeth, described as “small and sharp,” in both the upper and lower jaws. Their diet consists of plankton and small fry of other fish.